If, like many others, your life and money feels a bit like a juggling act - paying bills here and there… and “Uh oh, forgot about the council rates, guess that one’s going on the credit card”. You may be thinking that having some extra cash would solve a lot of your problems. Well, often changing how you spend the money you have now, can help you start to save that extra cash. It all comes down to your cashflow. Your cashflow is the amount of money that’s coming in and going out of your bank account at any point in time. It’s not a measure of your wealth, but whether there’s enough cash available to meet your expenses, with some left over. If your cashflow isn’t in check, you might find it difficult to pay your bills on time, or end up relying on credit. The first step to a more positive cashflow is to become clear on the incomings and outgoings of your money. Understanding and managing your money well now, will help set you up for the future. stop focussing on your day to day money, and start planning for your future. There are a few telling signs that can point to whether your cashflow is working for you. Answer yes or no to the questions below to see how healthy your day to day money is. Feel in control of your money and financially confident overall? Feel secure about meeting your expenses, and paying off your debts? Have a solid, workable budget? Focus on how your money can help you in the future, rather than worrying about today? 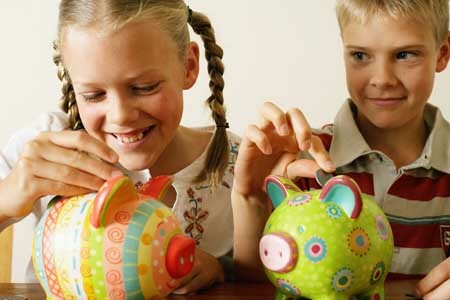 Have a growing savings account? Feel as though you don’t need to think about your money much? Have bank accounts set up so they’re easy to manage? Answering yes to all these questions means your cashflow is probably in a healthy position. And now would be a good time to start thinking about how you can save towards your goals and building wealth in other ways. Answering no to any of these questions is ok too, because it’s a great opportunity to get your money working smarter and harder for you. Some things you can do include – setting some goals, writing a budget and making sure you have a good system in place to manage your money. There are plenty of apps and online services available that can help with this. Our job is to help you build wealth for the long term, and often getting your cash in order is the first step to growing your wealth. We can help you take a fresh look at the way you’re managing your money, and help you find new ways to save on costs and time. Getting a clear picture of what’s happening with your money will also help you feel more confident about your finances overall. So you can stop juggling bills, and start saving for future goals.